Since Shadow of the Colossus’ remake released, intrepid treasure hunters have been locating new collectable coins throughout the world. No one knew what the coins did, but a hint within the game’s credits led players to search for a total of 79 well-hidden coins. The final coins were discovered last night, unlocking a hidden area and a special item. Last night, Brian, a prominent trophy hunter using the handle PS4Trophies, found all the coins with help from the wider community, as well as hints from Nomad Colossus, a YouTuber known for his Shadow of the Colossus videos. 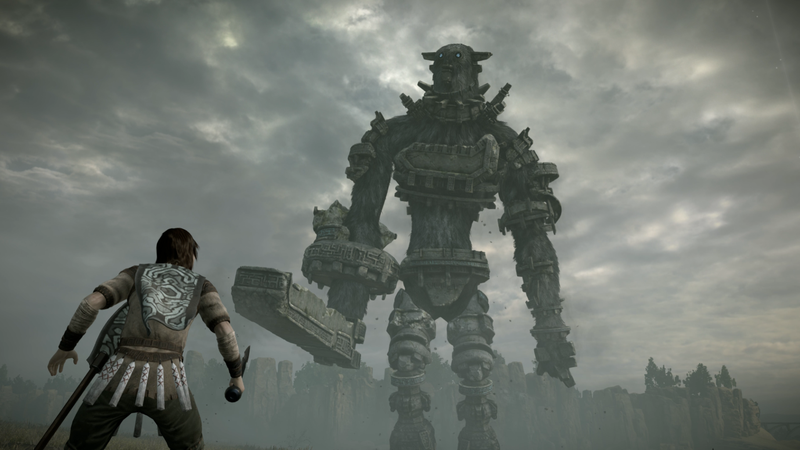 Shadow of the Colossus’ new coins tended to be found in dark ruins or in the arenas were the player fights colossi but their purpose remained unclear. A message in the credits mentioning “Nomad Colossus and the 79 steps to enlightenment” led players to conclude there were 79 coins to find. The coins added a magical glow to a locked door found outside the Shrine of Worship, the game’s main hub location. The door was the subject of fan speculation in the original game but couldn’t be unlocked. After finding all the coins, PS4Trophies followed a clue from Nomad Colossus that noted the hexadecimal value for 79 is 4F, the grid location of the Shrine of Worship. When searching the shrine elsewhere didn’t unlock anything, Nomad tweeted that PS4Trophies should go to the door. Interacting with it after gathering all the coins revealed a hidden chamber underneath the shrine. The chamber houses a large rock throne with a sword inside. The sword, called the Sword of Dormin, grants a large attack buff while reducing health regeneration. Dormin is the shadowy god that the main character bargains with in order to revive Mono. Unlike other swords in the game that reflect light into powerful beams, the Sword of Dormin is covered with a shadowy haze. When players hold it up to the light, it shoots a beam of darkness. The community seems split on whether or not the sword is a worthy reward for collecting all of the hidden coins.